Emily is proud to be proud of her Connecticut roots. She migrated west to study English at Colorado College, and was captured by the beauty of the southwest. When she's not skiing trees and back bowls, you'll find her camping, reading, jigsaw-puzzling, or tending her beloved succulent garden and wondering where the time went. We’re updating our logo, and we’d like you – our diehard fans – to design it. We at Powder7 love our current logo, but now that our 10-year anniversary has come and gone, it’s time for a refresh. 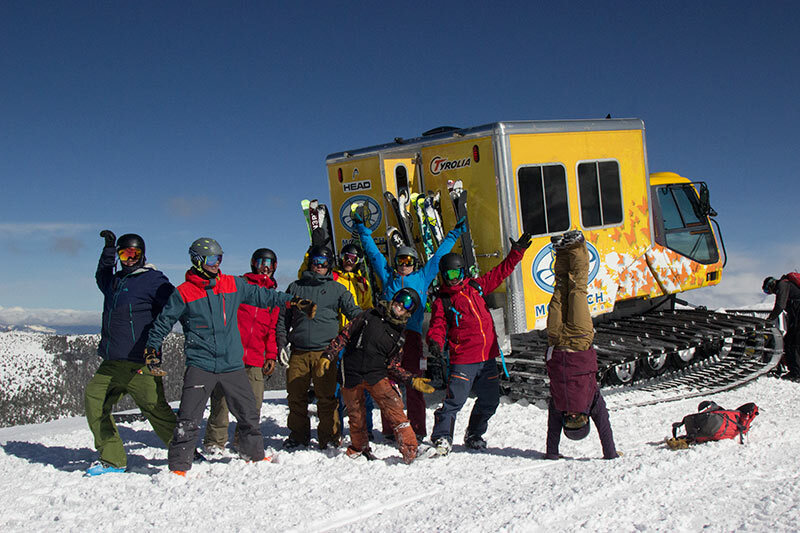 The Powder7 to the People Logo Contest is your chance to snag 7 ski setups worth up to $1,000 each! You have complete creative license. Use whatever medium you’re comfortable with. Maybe you’ll scribble it on a napkin with a pastel; maybe you’ll use Adobe Illustrator. It’s all good. If it’s rough around the edges, but we love it, we’ll use our in-house graphic design wizardry to make it work. The logo needs to show off Powder7’s dedication to skiing (no patio furniture or mountain bikes around here!) and devotion to our values. If we adopt your design as our new logo, you’ll receive a new pair of skis and bindings, every year, for seven years. We are family-owned. Meet Jordan & Amy, our owners, here. We live in Golden, Colorado. We are entirely dedicated to skiing. We sell skis and ski gear, exclusively. We are customer-focused. Above all, we want to bring powder to the people. Blank Canvas: The sky is the limit. The Powder7 to the People Logo Contest has no color or format restrictions. We are happy to receive well-thought-out submissions crafted by any medium that suits you. Professional Style: We hope to feature your logo on our website, social media, and miscellaneous swag (let’s say stickers, ski straps, and t-shirts). So, the logo should be legible in black and white and reproducible as a large or small-scale image. 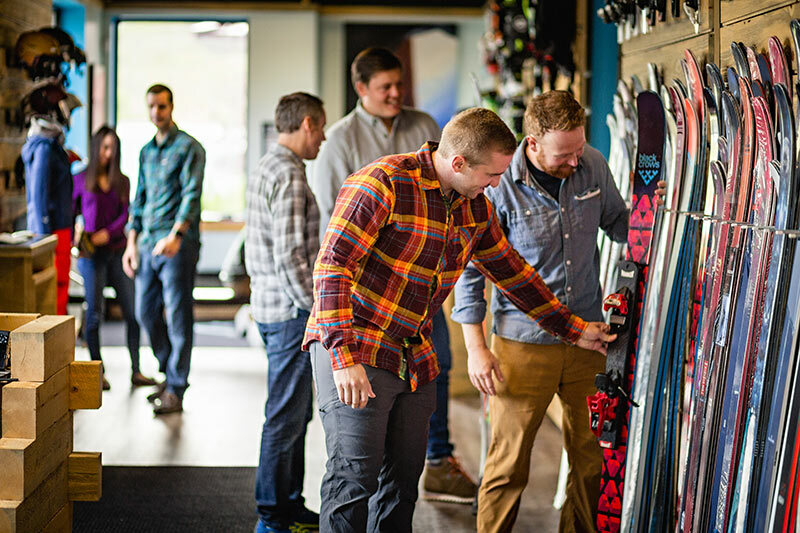 Reflects Our Values: Between hot new gear and affordable used demo skis, Powder7 has a setup for everyone. We believe in “skiing for all.” Additionally, Powder7 is dedicated to social and environmental responsibility. We’d like our new emblem to reflect these principles. Learn more about our commitment to our community and the environment here. Able to Register as a Service Mark: Logos must be your original work! Please make sure your entry is not in any way similar to licensed images or other copyrighted material. A logo that we cannot register as a service mark – no matter how artistically crafted – cannot win the contest. Additionally, the winner must assign all ownership and intellectual property rights to Powder7. The contest runs from Wednesday, August 29th through Wednesday, October 24th. To enter, post your masterpiece on Instagram and tag it with #powder7tothepeople. Instagram isn’t your thing? Email your creation to logo@powder7.com. Our staff will vote on our favorite designs, and hopefully assign one as our new logo! Then, we will announce the grand prize winner on Facebook Live in mid-November. If we choose an iteration of your design as our new logo, you are the Grand Prize Winner of the Powder7 to the People Logo Contest! 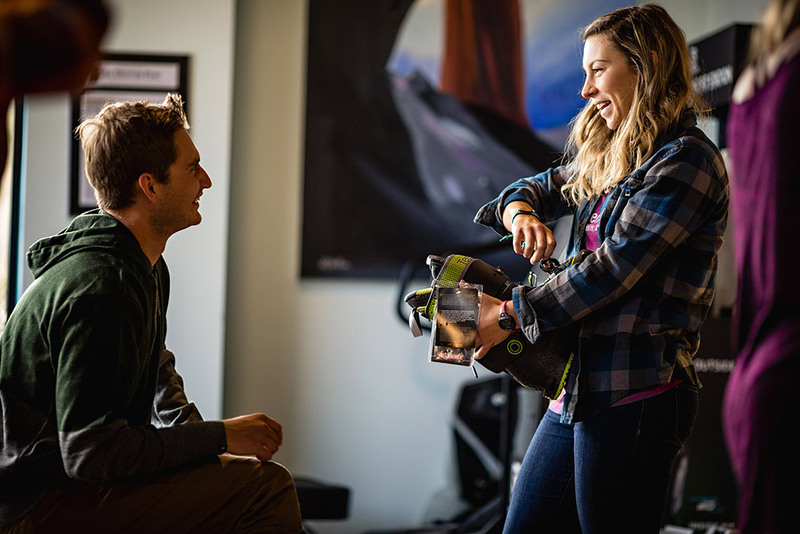 As the Grand Prize Winner, you will receive one pair of free skis and bindings per year for seven years (up to $1,000 big ones per setup). If no entries are suitable to use as our new logo, we will name an Honorable Mention winner, who will receive one free pair of skis and bindings with a max value of $1,000 for the 2018-2019 season.